Who else is tired of getting out the grill each and every time you’re craving a hamburger? 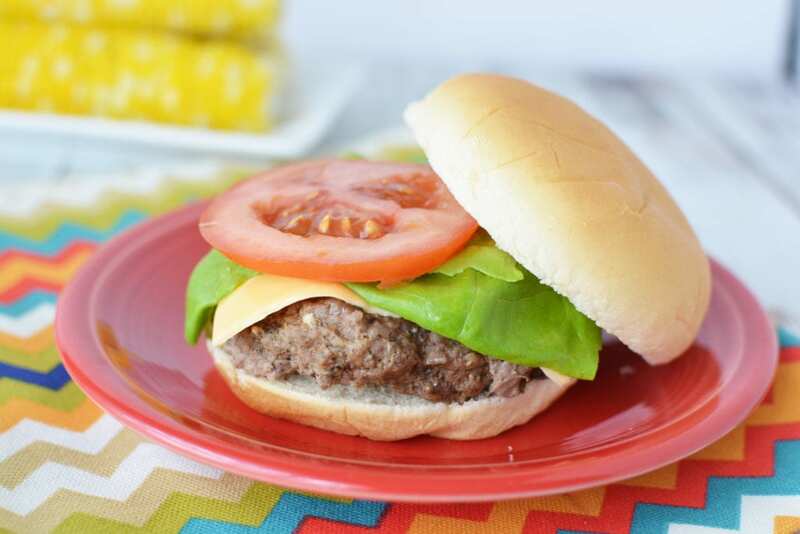 With this Instant Pot Hamburger recipe, rest easy knowing that this Instant Pot recipe honestly couldn’t be any more simple. All you literally need is hamburger and a few ingredients for seasoning, and you’ll have plump and juicy burgers ready to eat in no time! No more grease splatters, or bbq grill to clean after, either! 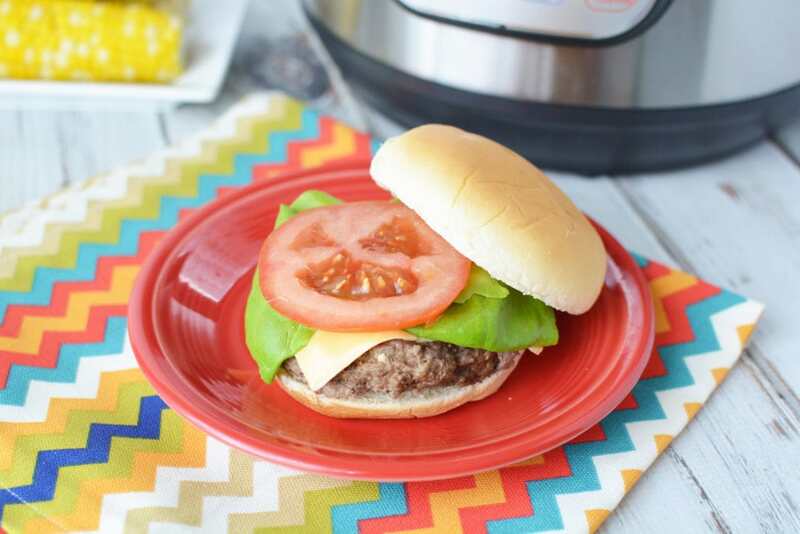 With the ease of using your Instant Pot, you can enjoy the taste of hamburgers literally all year long! Think how much fun it would be to invite your family and friends over for Instant Pot hamburgers during the winter months. They may be confused at first, but after that very first bite, they’ll be hooked and asking for the recipe so they can replicate it at their house! hamburger fixins’ such as cheese, lettuce, tomato, ketchup, mustard, mayonnaise or anything you like! 1. Season ground beef according to your liking. I season my beef before I make patties, but you can also make patties and then season the beef. 2. 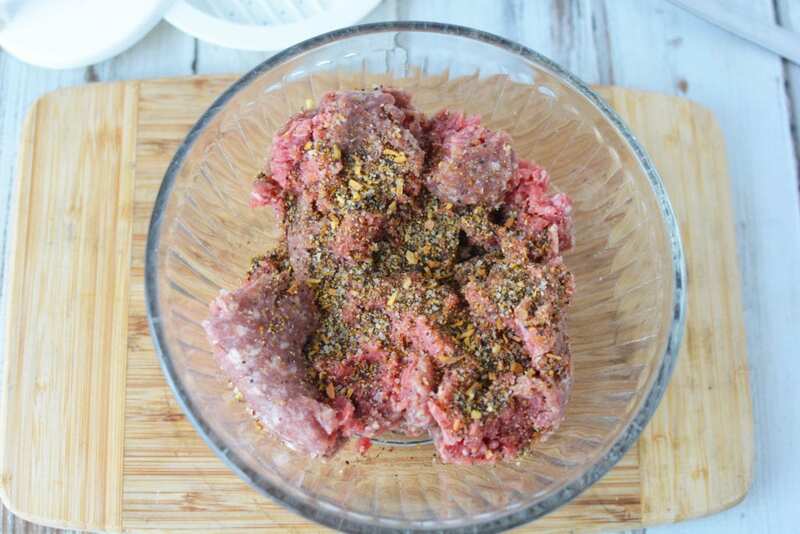 Using a hamburger press or your hands, shape the beef into 3-4 patties. Wrap each patty into parchment paper. 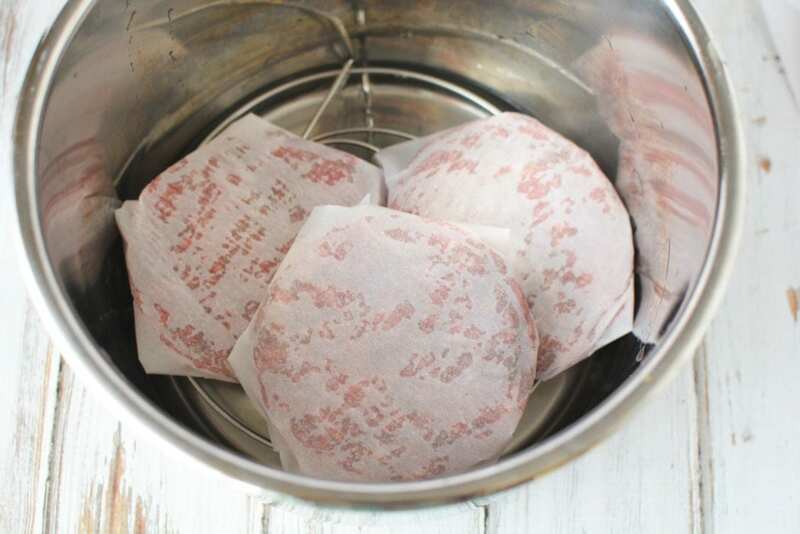 Place each wrapped burger in the instant pot on the trivet. 3. Place the lid onto the instant pot and seal shut. Close the pressure release valve. Set the instant pot to manual, high pressure for 10 minutes. When cooking is complete, quick release the steam and very carefully open the pot. 4. Remove the hamburgers using tongs and serve immediately. If adding cheese, do that quickly so it melts onto the burger just before serving. Say so long to only having burgers during the warm season and get ready to build a burger however you want, no matter what time of the year it is! Season ground beef according to your liking. I season my beef before I make patties, but you can also make patties and then season the beef. Using a hamburger press or your hands, shape the beef into 3-4 patties. Wrap each patty into parchment paper. Place each wrapped burger in the instant pot on the trivet. Place the lid onto the instant pot and seal shut. Close the pressure release valve. Set the instant pot to manual, high pressure for 10 minutes. When cooking is complete, quick release the steam and very carefully open the pot. Remove the hamburgers using tongs and serve immediately. If adding cheese, do that quickly so it melts onto the burger just before serving. You have water listed in the ingredients, but the directions do not say where the water should go… I’m assuming it goes in the instant pot in the bottom. But I don’t want to do it wrong. Thanks! That is correct, the water will go in the bottom of the Instant Pot.